To get started use our Self-Help Assessment tool to help you get a better understanding of the cause of your vertigo or dizziness. This will also enable you to sign up for our newsletter and email series to help you understand more what vertigo and dizziness is about. Finally make sure you comment on the posts. 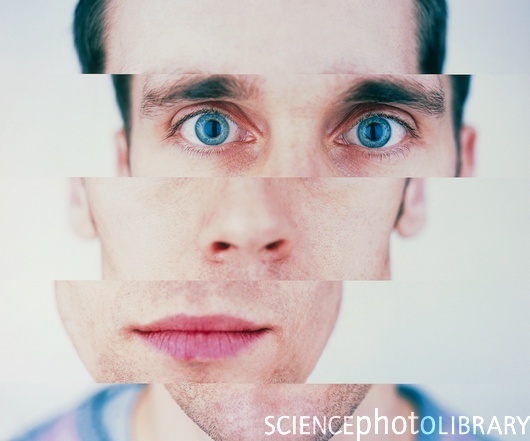 Your input is what makes this blog a great resource for vertigo and dizziness sufferers as they review their treatment options. Dr Matt! At last someone who understands and has knowledge of what may be going wrong. Thank heavens! I am desparate to find some relief as I need to fly at least once a year to see my sons. I am very ill on landing, and really can’t move for several hours. I’ve lost count of the number of connections we’ve missed because of this. And of course, it is particularly unpleasant for anyone around me. I have had limited help from “Airplanes” (ear plugs to relieve pain on landing – but I don’t ever get pain) and also have had grommets inserted and had 2 successful flights. The grommets are on their way out now, and I’m due to fly later this year.Does this information help you to understand what the problem is? I’ve been told its either panic or migraine. Thanks. Hi Anita, thanks for posting a comment! It sounds as though you have a balance centre problem. 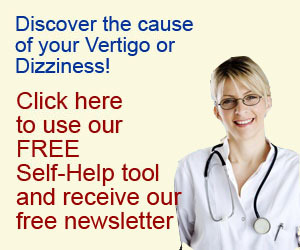 Not sure if you saw the tips in the flying with vertigo and dizziness article. You are probably suffering with the “input overload” you get with constant movement of flying. In coming months I’m going to launch a rehabilitation programme that you can use to reduce or prevent episodes like you mention. Make sure you subscribe to the newsletter or RSS feed for updates. Thanks again! I am fairly certain that my vertigo is due to an ear problem. I’ve been having on & off pain in my left ear for about 10 years, after I had a very bad ear infection. There has been a feeling of pressure and itchiness in the ear which some Sudafed usually relieves temporarily. The last 3 weeks I have been severely dizzy whenever going from lying down to standing or vice versa, and when I bend down. It feels like being on a carnival ride. Any suggestions would be helpful. Thanks. Hi Ruth, vertigo and dizziness that is positional is often a form of BPPV, more details of which can be found here. You should have this assessed with the Dix Hallpike test. If it is BPPV, the Epley manouvre is usually very successful it treating this. I woke up on Saturday morning,went to get out of bed and went dizzy, I staggered to the bathroom hitting walls on my way and threw up. Stayed still all weekend, went to doctors on Monday and she put me on prochlorperazine 5mg tablets, three to be taken during the day. I am due to fly to Spain on Saturday. Hi Julie, thanks for your comment. Sunds like you might have vestibular neuritis/labyrinthitis. You don’t give your age or other history so I couldn’t exclude stroke or MS but the most likely cause is a viral infection of the ear/nerve from the ear. I give more info on the healing times in labyrinthitis here, but you are probably looking anywhere from 2-8 weeks to fully recover and still then some people are left with deficiencies in the vestibular systems. Hope that helps. Hi Dee, it could be due to the alcohol bringing out a problem that had been present since the head trauma, or it could simply be something like viral labyrinthitis. You may be ok flying but it would probably be best to get checked by a registered healthcare professional sooner rather than later. Hi! Since 2004, flying became a very scary experience for me. Almost every time I’m flying, I’m getting very strange feelings like spinning of the airplane when reaches high altitude, loosing balance, panic attack, sweating (people around me told I’m getting very pale, white). Usually it lasts for few minutes (10-15 min.) and after that is getting slightly better but anyway for the rest of the travel I’m already traumatized and scared… I’m usually flying with medium flights (max 150-170 seats). I’m also traveling quite often offshore to platforms and rigs, but so far I haven’t experienced any problems during boat travels and during chopper flights. The same problem with vertigo (spinning and loosing balance) I experienced some times when violently I was blowing my nose (it lasts less than 3-4 min.). Unfortunately I still have to travel by airplane quite often. Is there any therapy which could help? It sounds like this is due to pressure changes (I imagine the chopper flights are at lower altitude and involve slower ascents). If that is the case you may be suffering from a perilymphatic fistula. I haven’t written much about perilymphatic fistula on this site, but it is where one of the membranes in the inner ear develops a hole allowing the different fluids of the ear to mix under pressure. This produces vertigo. That really needs to be evaluated by an ENT specialist and surgery may be needed to treat it. Hello I have been having problems with my left ear with pressure and fluid behind it causing my left lymph node to swell on my lower skull. It has been a month since I went to Dr. I had a CT scan and an MRI done. Gave me Flonase for swelling…Not working. Last Sunday Sept 22 I was very dizzy. So I saw Dr. again and he mentioned Vertigo possibly from ear problem. I was put on Antibiotics when this started a month ago but no change to my ear and now I have Vertigo.I am 41 years old and have 2 young kids. I cannot cope like this. Last night just laying down I started feeling dizzy and I just did not move..per Dr. orders if it happens again. makes me dehydrated and nausea all day. I asked for a referral for an EMT and my appt is next Tuesday Aug 30th to get more answers for my ear. Is there a possiblw cure for this?? I feel like my ear is expanded inside. What can be done if any?? It sounds like you have done the right thing to get an ENT evaluation. The swollen lymph node behind your ear makes it sound like there might be an infection, and if it was viral the antibiotics wouldn’t have made a difference. Once any infection has been excluded you should try getting a vestibular assessment to see if there is a cause there for your dizziness. I am 53 years old and have suffered with vertigo for over 10 years. When it first started medication treated it. Now nothing works…I spin not the world around me. My eyesight is affected, and also my hearing. I have had a complete ENT workup with no answers. Now I am seeing a Neurologist and he has tried different medications which make the vertigo worse. MRI of my brain is normal. My quality of life is non-existent. I forget how it feels not to be dizzy. Hi Cindy, what you report is similar to many of my patients. The compensation in the brain that many balance problems cause can result in symptoms like yours. I often prescribe brain exercises like the Lumosity ones to improve the activation of the cortex to regulate the lower brain areas. If you are a smoker you need to stop and your diet needs to be low sugar, but dont use artificial sweeteners as many of these are brain toxic. i suffer from this about every 2 years or so. it hits me hard without warning. usually driving which is not good.it can last from 3 months to 6 months. no meds seem to help. dramamine is a joke. meclazine is the same thinf really. i can take 6 of them and it has no effect sept sleep. i get dizzy in bed, at work, driving. i cant watch tv at all. no matter what kind of tv it is. did vestibular rehab twice. not sure if it helps or if its the time it takes. last time i was in rehab over 2 months.i have no life. i exsist and its in total fear of it coming back or getting worse on the road or at work. the intense dizziness is only part of the problem. the other part is the pure terror i feel almost all the time. is it going to hit me hard at work? is it going to attack me driving AGAIN. probably going to lose my job over it BUT cause i dont have it every day all the time its not considered a disability. this will destroy your life and noone can do a thing about it. valium does slow it down sometimes. but its getting so it dont work either. i am 48 and am boarderline shut-in due to this. i go to work and sit in a chair staring at the wall. and that takes every fiber of my being to do it.